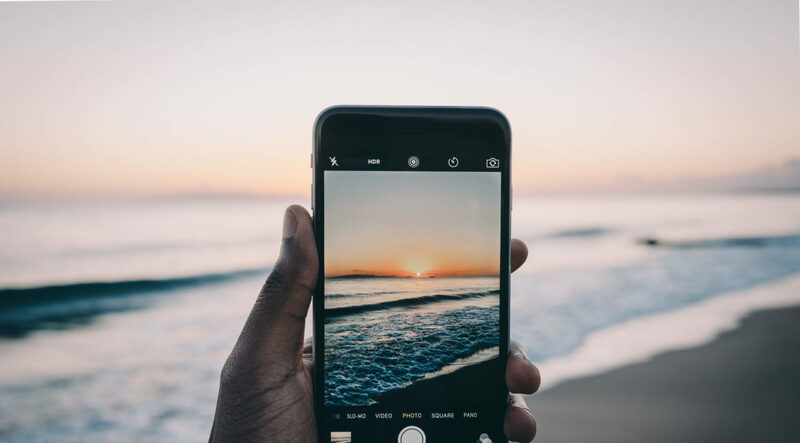 We all know for a fact that we LOVE the pictures we see on our social media feed…of Italy, Thailand and Mexico… But what if YOU were to take professional pictures? One of the many things that are essential for traveling is a camera either if it is a digital camera or a phone. Taking pictures is so fun especially when you’re in a foreign place! Having a camera can be pretty intimidating at first: “What does this button do?”, “I just want to have a blurry background.” Before you go anywhere with your camera: make sure you study the manual (yes, you need to read a manual) and know what buttons do what exactly. We suggest a DSLR (Digital Single Lense Reflex) camera or if you’re on a tight budget never underestimate the power of your phone. If you don’t want to read the manual because manual’s are boring and you’re more visual, we highly recommend YouTube tutorials. It’s free and makes it easier to learn. Once you master every button of your camera, you’re ready to conquer the world! ALWAYS protect your camera at all costs! Whether if it’s rain, sand or any aggressive element that can scratch your lenses that can be expensive to fix. In B&H Photo you can buy protective filters so the real lenses won’t get any bad scratches. Keep your camera in a safe backpack and always put the case of your lenses. It’s always a good idea to look at instagram, tumblr or pinterest to look for inspiration for what exactly you are going to take pictures off. If you have an idea of where are the places that you’re going to visit, even better. You shouldn’t have to stress too much about planning. Sometimes there are other things that can catch your attention and could be even better than what you were originally going to capture. It’s okay if you get lost in a city that you don’t know! Make sure you know which days are going to be sunny or rainy so you can adjust to the weather. It’s important that you wear comfortable shoes if you’re all day taking pictures. Remember, these pictures are going to be long-lasting memories and evidence of how much fun you had! We’ve seen thousands of pictures of the Eiffel Tower, the Grand Canyon, and don’t get us started with pictures of forests. Enough of cliché photos, it’s time to change the angle! Make everyone see a different side of the Eiffel Tower that no one has seen. Spice things up! You can either make it artistically or make it look funny. The point here is to grab everybody’s attention even though they have seen the same place a lot of times. That’s all right, take all the time you need because THIS is your art! As much as we love the iconic sites of the cities you visit, if you want to stand out from the crowd, don’t consider a tourist site. It’s annoying to have a lot of people in your way ruining your photo and pushing you so the others can get a good angle in their photos (don’t be that type of traveler, please!) Places that can be so simple as a market or a park can offer thousands of possibilities for a good picture. Tip: If you really want to capture something different from the rest, the city life and the people that live in it. The more simple the photo, the better because you capture the essence and the beauty of the subject. Photography is the art of capturing light. Therefore, it is essential to have light anywhere you go. Instead of simply photographing everything we see, you must keep in mind of what is happening in your surroundings. The best hours to take pictures are at sunrise and at sunsets, depending on the season you have to look up on the internet (or ask a local) to give you the precise time where the sun hits the golden hour. The light has a huge impact on the shadows of a building and how it structures a face. Play around with harsh lights and shadows to see what you like. When the golden hour arrives, that’s where the magic happens! Examine your surroundings, what do you see? It’s important to analyze what’s on your area. Always make sure what are elements that can spice up your photos and what are other elements that can break your photos. There are some things that you can’t control i.e. the weather. Improvise with what you have in hand and have fun with it. If you add elements into a picture you will give depth and character to the subject; it can even tell a story. But, sometimes it’s very funny to have a photobomb in the background. Portraits are the best memories anyone can have when you’re traveling the world. Behind a portrait there are so many stories. In a portrait you can capture: culture and personality. Try taking pictures of strangers, you’d be surprise of their stories but be sure to always be respectful and aware of cultural difference. In addition, you can interact and connect with people during your travels. Know their story, and have your camera ready! It is through those who live there that you can really get to know the place you are visiting.